Results - How well do you know your sunscreens? 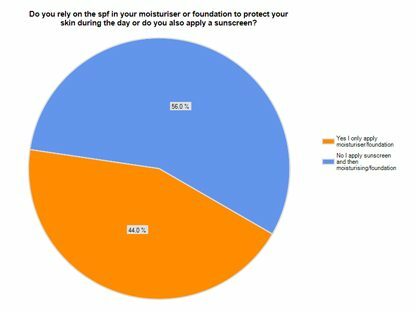 When do you use a sunscreen? 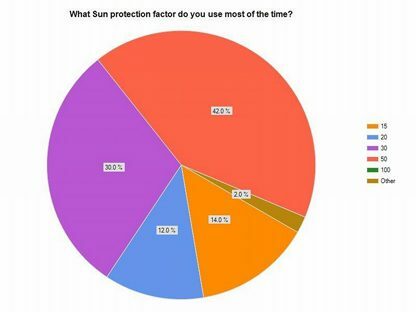 What brand of sunscreen do you use? 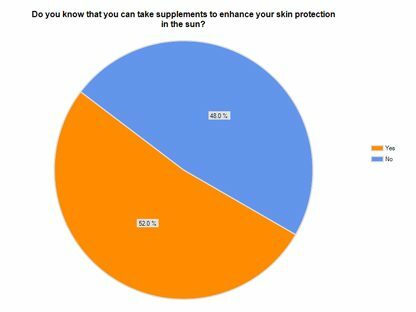 Do you know what ingredients to look for in a sunscreen? 78% of respondents said they do not understand what ingredients to look for and 28% said they do. Do you understand the difference between UVA and UVB rays? 54% of respondents said yes and 46% said no they don't know they difference. Ensure that your skin is completely protected by looking for a broad-spectrum sunscreen which will protect you from both UVA and UVB rays. Sunscreen needs to be fully absorbed into the skin to be effective, so apply it 15 to 30 minutes before you step into sunlight. Do you know the difference between a chemical and physical sunscreen? 34% of respondents said yes and 66% said no they don't know the difference.